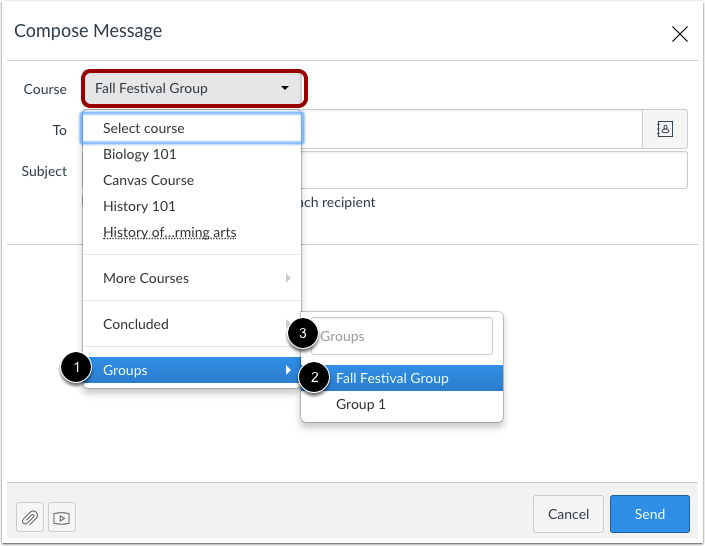 Once a course has concluded, you cannot message groups in that course. In the Courses drop-down menu, select the Groups option  and select the name of the group . You can also search for a group by typing the group name in the Groups search field . Previous Topic:How do I send a message to a user in a course in Conversations as a student? 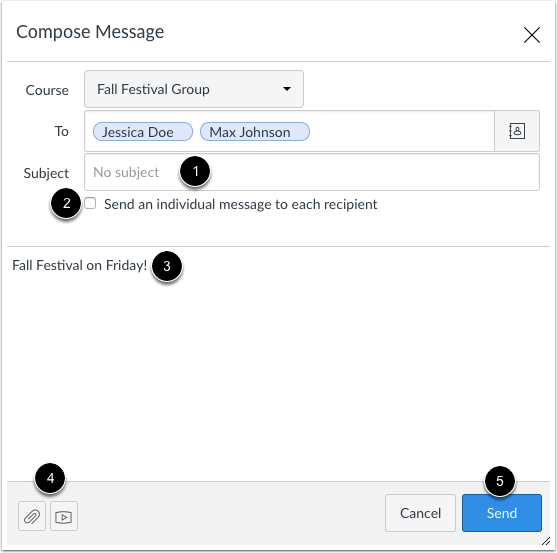 Next Topic:How do I send a message to all course users in Conversations as a student? Table of Contents > Conversations > How do I send a message to a user in a group in Conversations as a student?